The weather is turning warmer and the sun is out longer. It must be closing in on the “end of the year” for Cub Scouts. We do actually scout year round, but we celebrate the end of our scouting year and the achievements the boys have earned in June every year. We gather together to grill, play games, climb a rock wall, and celebrate the boys crossing over to the next rank. 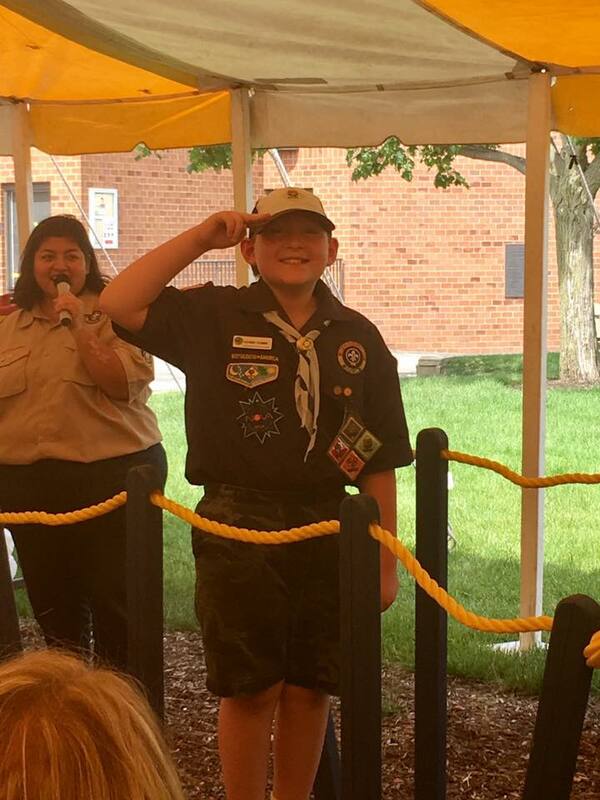 It’s a time where Lions become Tigers, Tigers become Bears, Bears become Wolves, and Wolves become Webelos. This is also our kick-off to summer activities such as kickball, hiking, camping, bike riding, and fishing! Come join Pack 134 and see what fun you can have! Pack Picnic is Sunday, June 3rd.